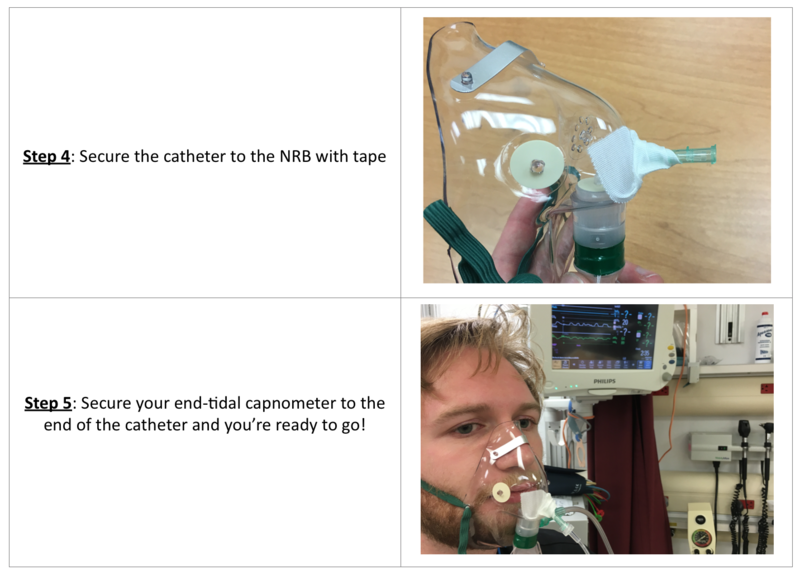 End-tidal capnography is frequently used in the ED for monitoring patients at risk for hypoventilation. 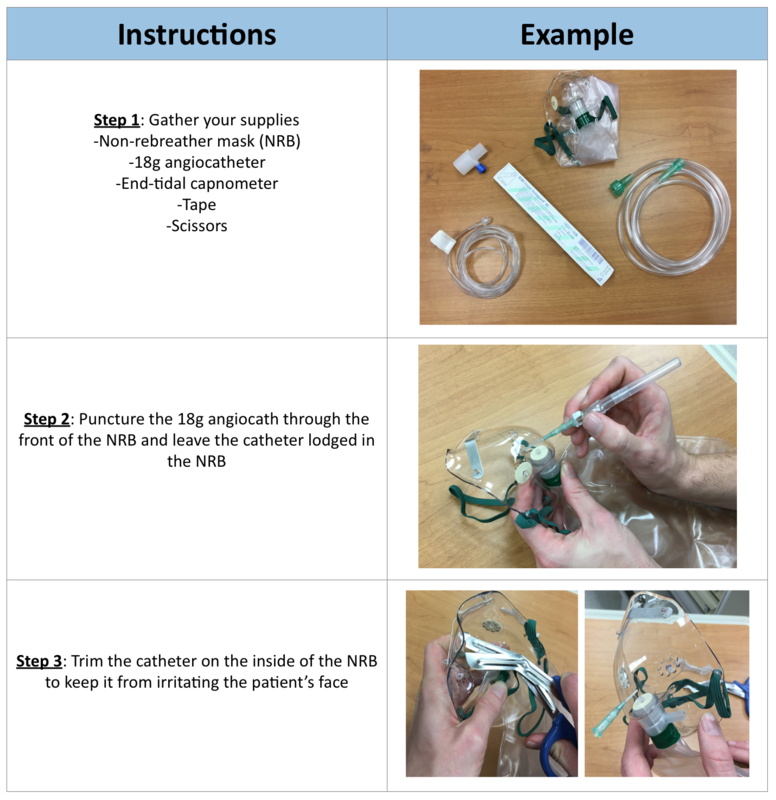 Some departments stock the luxury oral/nasal sampling devices, but many of us have to make due with a nasal-only apparatus or fashion our own using a nasal cannula; these will not capture CO2 exhaled from the mouth. You can easily use a conventional face mask to build a capnometer that will continuously sample nasal and oral exhaled breaths, and provide supplemental oxygen. If you use a non-rebreather mask with both exhalation valves activated, you must keep the reservoir insufflated with oxygen. To deactivate the exhalation valves, peel off the rubber gasket pictured most prominently in step 4. If you provide high-flow oxygen, this will dilute the exhaled CO2 and the ETCO2 number will be artificially low, but the waveform is intact–if the wave amplitude is too small, change the monitor scale from max of 50 (default on most monitors) to max of 20. Thanks to Brendan Milliner for his assistance/face. addendum: similar setup described by an obscure author in the air medical journal.